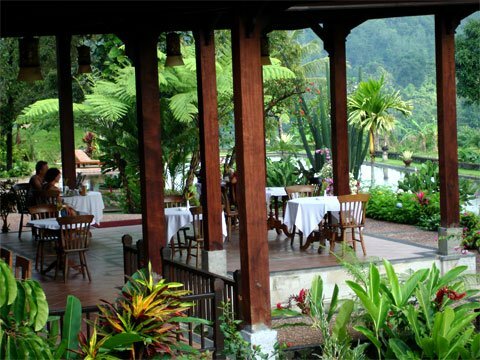 Ijen Resort is the only luxury hotel in this region. 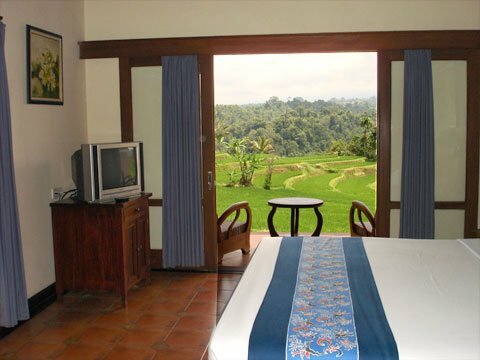 It is situated at an altitude of 650m in a beautiful setting on the edge of the Ijen National Parc. 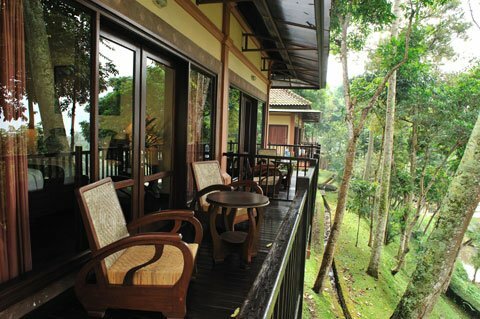 From your terrace or balcony you enjoy the panoramic view over beautiful rice terraces and forests to the volcanoes! From the garden you can even see the ocean. A wonderful place to unwind. In the vicinity are some small villages, the first real village is six km away. 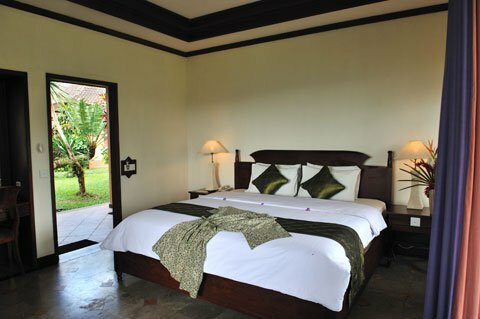 All rooms have a beautiful view and feature a bathroom with shower, fan (no AC needed at this height), television, coffee and tea making facilities, minibar and balcony or terrace. Wifi only in common areas. Swimming pool (natural spring water), restaurant (Asian and Western cuisine), bar, laundry service, lockers, massages and tours & transfers. 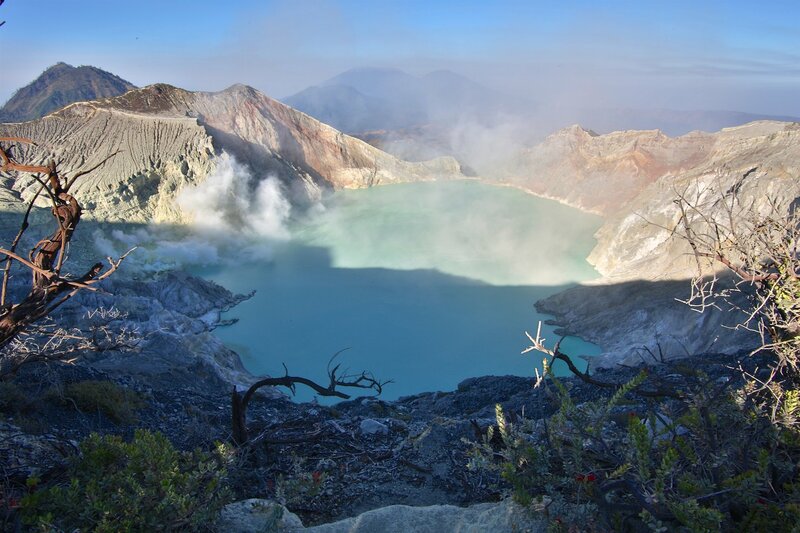 IjenDe Kawah IJen is de krater en het kratermeer van het IJen gebergte. De vulkaan is vooral bekend van de zwaveldragers.